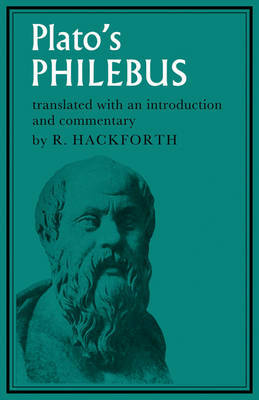 This translation with introduction and commentary of Plato's Philebus was originally issued under the title Plato's Examination of Pleasure and first reprinted as Plato's Philebus. This dialogue, generally agreed to be one of Plato's latest and most sophisticated, analyses in detail the nature of pleasure - its meaning, its varieties and importance. Professor Hackforth here translates the dialogue for the student and general reader. There is a running commentary on the course of the argument and the meaning of key Greek terms and a full introduction to explain the philosophical background and the place of this work among Plato's writings.